The wide grip bench press helps to isolate your pectorals, shifting emphasis from the secondary bench press muscle group – your triceps. You can use this lift to improve your pectoral strength. The wider grip used also reduces the range of motion (ROM) of the lift, potentially increasing the weight you can press. Equipment: Use a standard flat bench and barbell, preferably a bar with rings in the knurling at the standard 81cm distance. This allows you to consistently measure your hand position. Stance/Foot Position: Place your feet flat on the floor. You may have to try different foot positions based on your body mechanics, start by bringing them back underneath your hips with your toes pointed out. Hand Position: Your hand position should be well outside your normal grip. Depending on the length of your arms, you should try to grip the bar as wide as possible while still safely allowing you to re-rack the bar. At a minimum, use a grip that is at least one hand width wider than your normal grip. Lie flat on the bench with your shoulders, head, and buttocks in firm contact with the bench and your feet flat on the floor. 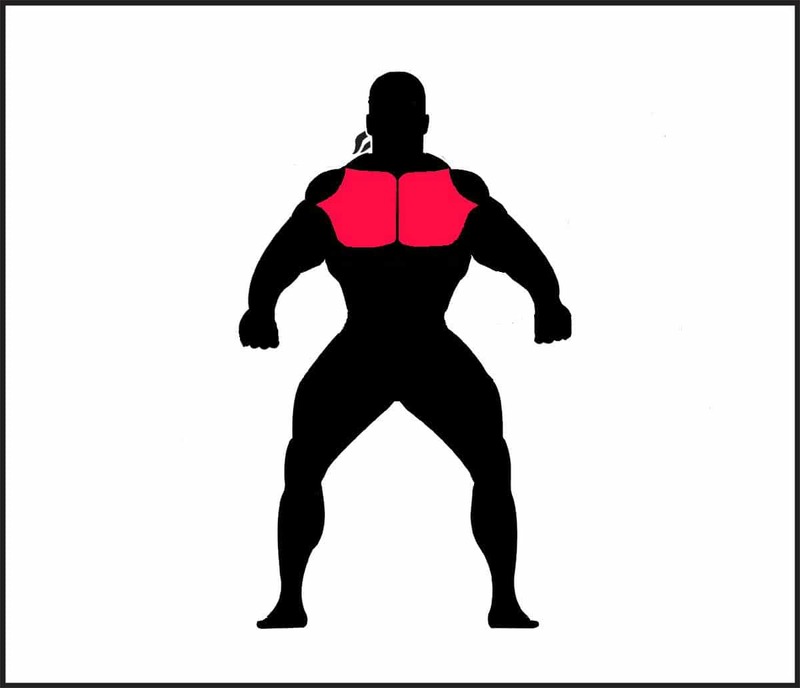 Maintain this position, none of your contact points should shift throughout the lift. Grip the bar using the hand position above, and find the correct foot position. Squeeze your shoulder blades together as if you’re trying to pinch a coin between them and hold them tight. Drive through the balls of your feet, pushing your hips toward your shoulders, creating a small arch in your back, and tightening your body from your toes to your traps. Maintain this leg drive and full body tightness throughout the full lift. Stay tight and try to lock your elbows prior to unracking the bar, depending on rack height. Take a deep breath into your lungs and abdomen and hold it. 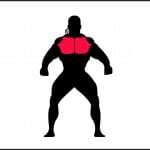 Bring the bar straight out over the chest keeping your shoulder blades pinched tightly together. Take another deep breath and hold it, filling your lungs and abdomen. Bar should come down quickly but stop lightly on your chest without sinking in. Keep your chest up by maintaining a strong leg drive, keeping your shoulder blades pinched tightly together, and keeping your lungs full of air. Because you have a wide grip on the bar, when you re-rack the weight be careful not to smash your fingers between the bar and the bench supports. Although the wide grip bench press will have a shorter ROM than a full press and may allow you to press more weight, this is somewhat dependent on your individual strengths. If you are strong off the chest compared to your lockout, wide grip presses will likely be stronger than your standard grip bench press. If your lockout is more powerful than the drive off your chest, wide grip presses may be somewhat more challenging that the standard grip bench press. Allowing your chest to collapse as you bring the bar down: This reduces your tightness and stability, and limits the explosiveness with which you can drive the bar off your chest. Failing to keep your shoulder blades tight or maintaining leg drive: This also reduces your ability to remain tight and keep your chest up. Use of a spotter. When benching with a wide grip, your arm length will be shorter, and it may be even more difficult to re-rack the weight than with a standard bench press. Use a weight you can control through the full range of motion. Lower the bar under control, touch lightly, and press explosively. Don’t bounce off the chest. Decline wide grip bench press: Using the wide grip bench press on a decline bench can reduce emphasis on your anterior delts, increasing the emphasis on your pectorals.